Nineteenth of April 1975 is a historic day for the Indian Space Programme. On this day, India's first satellite 'Aryabhata' was launched successfully, which has spear headed the growth of satellite technologies. To commemorate this event, 19th of April, every year is being celebrated as Technology Day, since the year 2000, showcasing the various achievements made in the area of satellite technology. This year the Aryabhata Lecture was delivered by the distinguished chief guest, Ms. Kiran Mazumdar Shaw, Chairman & Managing Director of Biocon Limited, Bengaluru. 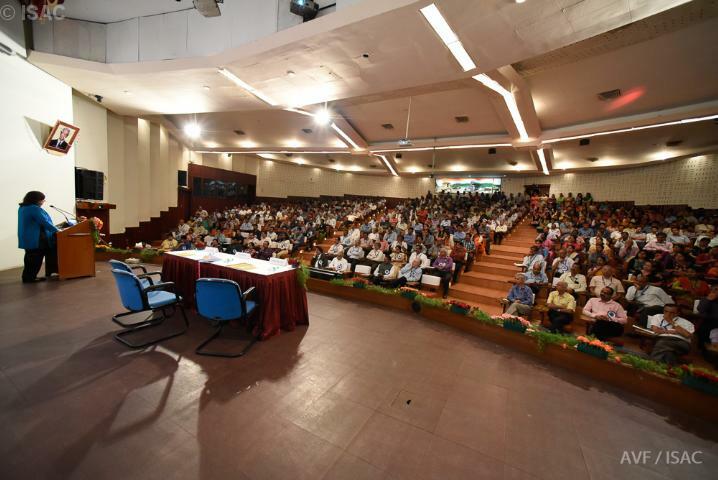 A call for papers was issued to all ISRO centers in seven categories stressing novelty, demonstrated results - on-orbit and/or on ground - new design concepts, theoretical modeling and analysis, new process/product development and applications, new materials and their scope in spacecraft systems, new methods of test, evaluation and characterization, spacecraft ground systems development and standardization of spacecraft systems for production and automation. 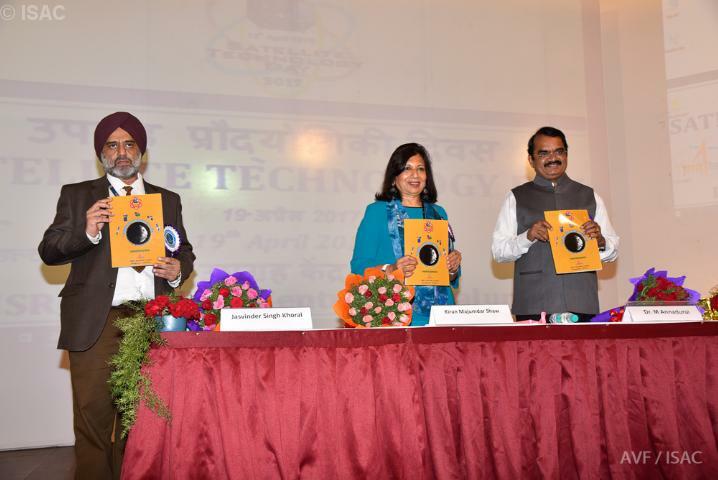 There was a highly enthusiastic response from the ISRO community to this call and sixty-nine papers were received. Rigorous evaluations of the papers were carried out by meticulously selected domain experts. 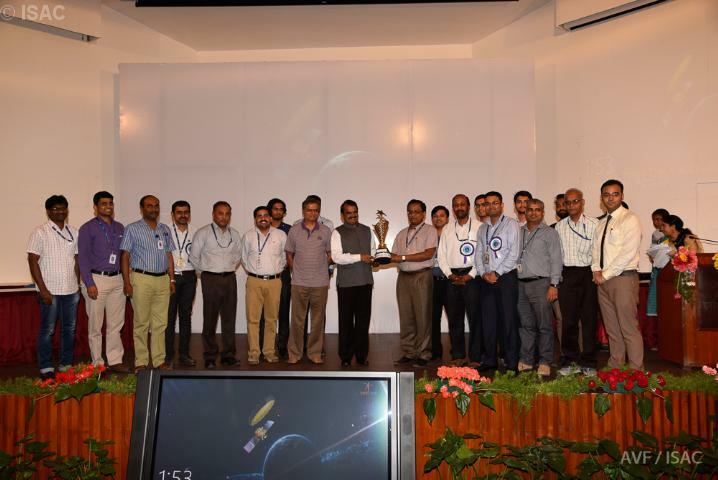 Nine outstanding papers were selected for presentation during the Satellite Technology Day - 2017 symposium. The selected papers bring out the designs and developments being realized in different areas of spacecraft technology. 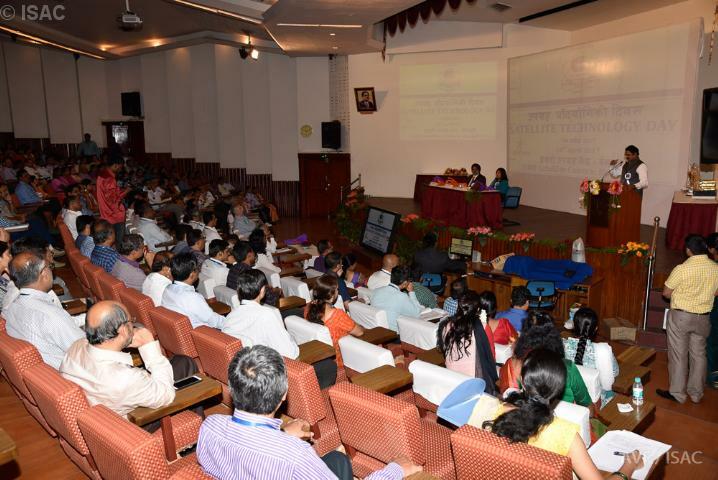 The Proceedings of Satellite Technology Day - 2017 include the abstract of the Aryabhata lecture and full texts of all the nine selected papers were released. The authors were also awarded with a memento and a certificate. The response to SPARK was excellent. The topics were innovative and many new proposals and ideas were put across by the young engineers. The proposals showed the sincere efforts put by youngsters. Thirty-eight proposals were received covering all most all fields of satellite technology & applications. Based on criteria detailed in the call letter, nineteen abstracts were selected for review.Primacy was given for concept, originality and feasibility. Three reviewers were chosen from relevant fields per abstract and based on the feedback from reviewers eight abstracts were chosen for final presentation and another ten for poster presentation. All the eight presentations were judged by a panel of judges and three prizes awarded. Parallelly, all the authors of the poster presentation were awarded a certificate. This year about thirty posters from all the groups and facilities of URSC were displayed and the best poster was awarded a rolling trophy. Regardless of the fate of the proposal at SPARK, we strongly urge the teams to pursue their ideas and continue work in these frontier areas of Satellite Technology and its applications.